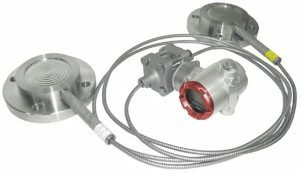 Advanced Pressure Transmitter with Remote Diaphragm Seals. Paired with the Advanced Pressure Transmitter, Azbil North America is able to provide an extensive line of Remote Diaphragm Seals. From cryogenic to high-temperature applications, we can draw upon decades of experience designing and manufacturing remote diaphragm seals for process control to find a transmitter/remote seal system that fits your needs. For application, assistance contact Azbil North America or use the Distributor Locator to find your local representative.